Flat roofs are terrific for Placerville commercial buildings because they are so easy to maintain, but seemingly small problems can escalate quickly and cause tens of thousands of dollars in damage to your roof. Flat roof repair should be done long before any major damage can occur in order to limit the amount of structural damage that is done. Standing or Ponding Water: Rainstorms in Placerville usually lack the ferocity seen in other parts of the country, but that doesn’t mean they can’t damage your roof. The most common flat roof repair is fixing asphalt destroyed by standing water. If you see that your roof continually has standing water days after a storm, you need to call a professional to inspect it. Blistering: Placerville’s hot summer days and cool winter nights can cause bubbles and blisters to form on the top layer of the roof. If the problem is not addressed right away, full separation will occur, leading to leaks and water damage to the ceiling underneath. This is a relatively easy repair, but it does require an expert touch to get it right. Cracks: A tiny crack may not seem like a big deal in the scheme of things, but when it comes to a flat roof, any kind of crack is dangerous. When the structural integrity of the roof has been compromised, water can get into the cracks and cause further damage to the roof or the support structure of the building. Though tar is a quick fix, you’ll need something more substantial to prevent additional destruction. Bad Flashings: The metal flashings around the edges of your roof, and around such elements as chimneys and vents, are there to keep water from getting under the top layer. When flashings rust or come loose, it becomes much easier for water to seep underneath your roofing materials, causing blistering and other more significant damage. As part of any flat roof repair, you need to have all of your flashings inspected. Once you notice there are problems with your roof, you need to find a qualified professional, like Straight Line Roofing, to do the repairs. Be sure to check out what other people have to say about a prospective contractor, and try to find one that gives you and your property personalized attention. 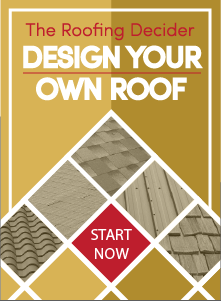 Straight Line Roofing is a company that has a long history of excellence, with guarantees to back up our work. For a free inspection of your flat roof, contact Straight Line Roofing.